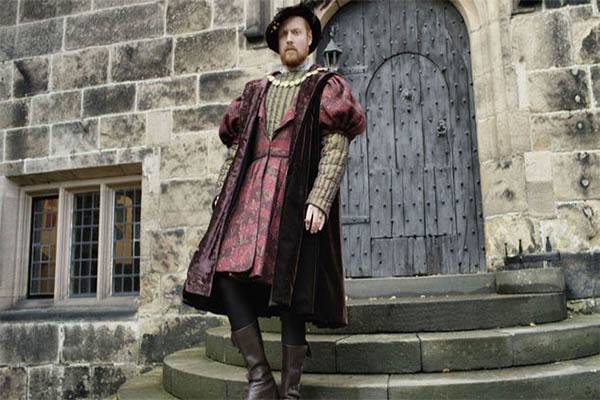 Charlie Clements shot to fame on the BBC, then as Henry VIII for a Channel 5 docu-drama. Now Charlie is starring in Elizabeth I and on Radio 4 in their afternoon play. Here he reveals his love of history, London and acting. A: I went along to a small acting school at about four-years old. There was a class every Saturday for an hour or so where the kids would get together, read poems, make up small scenes and put on shows for the parents. This was the first time I had ever been in front of an audience and I just remember feeling how enjoyable it was. From that moment, there has only ever been one job that I wanted to do and that was to be an actor. Q: What attracted you to acting? A: I guess, going back to when I was young, it was the buzz of being on stage. I have such strong memories of some of the shows we put on. I also used to just sit and watch films over and over again. By the time I was eight or nine, I could pretty much recite Mrs Doubtfire line for line. I’m still the same! I must have watched Ricky Gervias’ ‘The Office’ (both series) at least 50 times! A: Aside from Bec and my two kids. Tricky… I suppose I would have to take a guitar. Obviously, the strongest sun cream going and being a lover of photography – a good camera. Q: Tell us about your new series on Radio 4? How do you manage to change character every day? A: I’m working as a member of the BBC Radio Drama Company (The RDC). It’s a rep company of around 11 actors and we voice a large proportion of the characters/plays that go out on Radio 4. In terms of playing different characters every day, it comes very easily when the writing is so good. We are very lucky with the scripts we get. So a lot of the work has been done for us in a sense. There may be some different accents/dialects required at times, which is all part of formulating the character. Q: Who or what inspires you in life? A: Tough one. I’m inspired by so many different things in many different ways. On a day to day basis, Bec and the kids constantly inspire me and support me. But then I could be walking along the street, headphones on and then all of a sudden a particular song comes on and that’s inspiration of a different sort, similar to looking at a painting. I find inspiration in shows such as Planet Earth for example. It’s a difficult question because I find inspiration in so much. A: It’s history mostly. The mystery of what it was like hundreds of years ago fascinates me. Its architecture, old and some new. Q: Tell us a little about your new programme? A: I appear as Robert Devereux, Lord Essex, in Elizabeth I, which follows on from Henry VIII & his Six Wives in which I played Henry. This show tracks Elizabeth I from before the start of her reign to her death. It takes a look at the troubles she encountered during her reign, but also shows her in a very human way towards the end. My character tries to seduce the older Elizabeth with his charm, in order to gain favour and power and ultimately goes on to lead a coup against the Queen, which fails miserably. Q: If you could work with any actor in the world, who would it be and why? A: I would have loved to have worked with Philip Seymour Hoffman and Robin Williams, but sadly will now never get the chance. Eddie Marsan is another favourite. I had the pleasure of bumping in to him on the street a while back and he is an absolute legend. I thought Claire Foy was incredible in The Crown and Andrea Riseborough gave one of the best performances I’ve seen on TV in National Treasure. Q: Describe your perfect home? A: My experience of houses is there’s always a compromise somewhere. I’m very fond of, what I think are, Georgian town houses, that you find on the squares in London. I think I’m a bit OCD when it comes to symmetry and lines. But what I imagined my perfect house to be has changed as I’ve got older. I used to want the big, palatial type house, but now I just want a home. Plus, I don’t have much furniture, so a mansion would look a bit sparse. Q: Have you had any home disasters over the years that you can share with us? A: The worst that’s happened is a paint can that was kicked over on to cream carpets. I sawed through a pipe I shouldn’t have not so long ago, too. Q: Do you have any favourite architects or designers? A: The Romans and the Ancient Greeks. Q: What advice would you give to anyone who wants to break into acting? A: Some of the best advice I was given/taught was from Andrew Visnevski, my tutor at RADA. He said: “it’s fun to fail and if you’re going to fail, fail big.” I saw a tweet from Ricky Gervais the other day and it was along the lines of, “it’s better to have tried and failed than to not have tried at all.” And that is so true. If you want to act, and maybe don’t have the confidence, please please just try. Other than that, enjoy it. If you enjoy doing it, that will show in your work and your audience will enjoy it. And remember, there’s no right or wrong way of doing it.